Note: Also available as an audio reading. Followed in 2009 by a "sequel", I Am What I Am. Leading man. Cult hero. Debonair judge. Show-stopping singer. 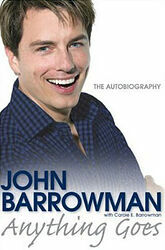 The many talents of John Barrowman have entertained the world for almost two decades — but what's the real story behind that dazzling smile? Anything Goes lays bare John's story for the very first time, in his very own words. Describing his life from his Glaswegian childhood and American adolescence to his current incarnation as Captain Jack Harkness in the ever-popular Torchwood and Doctor Who, this exclusive book provides a no-holds-barred insight into the extraordinary experiences of one of the best-loved figures in show business. Sharing his secrets with trademark charm and irrepressible humour, John recalls working with such theatre luminaries as Stephen Sondheim, Sam Mendes and Andrew Lloyd Webber; discloses hilarious as well as heartbreaking personal memories; reminisces about his glamorous overseas travel; and takes us behind the scenes on the sets of his hit TV shows. In a searingly honest account, he reveals backstage high jinks alongside life-changing romantic encounters, career peaks and private lows. Revelatory, engaging and told with real heart, this is the transatlantic fairy tale of how one boy achieved his dreams. A multi-talented star who has triumphed in theatre, film, television and music, JOHN BARROWMAN has enjoyed a successful performing career for nearly twenty years. Most recently, he's led the cast of the hit TV show Torchwood as Captain Jack Harkness, a role that originated in the BBC's revamped Doctor Who. 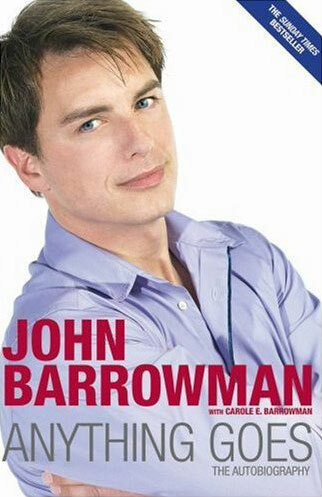 CAROLE E. BARROWMAN, John's sister, is the eldest of the three Barrowman siblings. An English professor at Alverno College in Wisconsin, Carole is also a regular contributor to the Milwaukee Journal Sentinel. For the first time, Anything Goes lays bare John's story in his own words. Sharing his secrets with trademark charm and irrepressible humour, he describes his life from his Glaswegian childhood to his current incarnation as Captain Jack in the ever-popular Torchwood and Doctor Who. In a searingly honest account, he discloses heartbreaking personal memories, as well as backstage high jinks from his illustrious career.